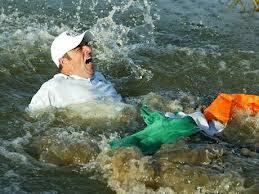 McGinley quite rightly gets the Ryder Cup nod! 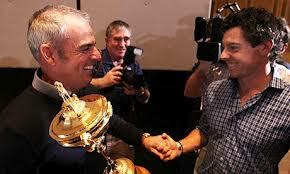 Paul McGinley made history this week when he was appointed the first ever Irish Captain of the European Ryder Cup Team. Irish golfers have had an amazing record as part of the Ryder Cup teams, from Eamonn D’Arcy beating Ben Crenshaw in 1987 at Muirfield; Christy O’Connor’s 2-iron in 1989 at the Belfy vs Couples; Phil Walton’s great victory again Jay Haas to bring the Cup home in 1995; Paul McGinley’s putt in 2002 at the Belfry to win the Cup; Harrington defeating Tiger & Phil alongside Monty in 2004 and beating Tiger again with McGinners the next day at Oaklands Hills; Darren Clarke’s amazing performances at The K Club in 2006………..the list just goes on and on! It has taken a long time in coming to finally see an Irish golfer as Ryder Cup Captain after such a significant contribution to the competition over the years. 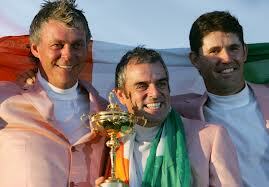 We could potentially see another 2 Irish golfers as Ryder Cup captain soon too with Darren Clarke and Padraig Harrington definitely in the running for future captaincy roles, although the fact that Darren was strongly considered this time around maybe counting against him for subsequent Ryder Cups. 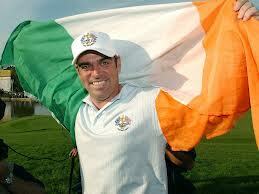 Paul McGinley is a true gent of the game, very similar to his more illustrious colleague, Tom Watson, of Team USA. His behaviour during the run-up to the announcement of Team Europe’s Ryder Cup Captain was a credit to him, staying in the background and just letting things unfold while others very much let themselves down, not wanting to name any names of course…………Monty does spring to mind though! McGinley has served as Assistant Captain twice so his Ryder Cup pedigree is without question, both teams winning, in 2010 and quite miraculously in 2012, and, of course, he held the winning putt in 2002 at the Belfry along with delivering significant contributions in 2004 at Oaklands Hills (the highlight probably being his 4&3 victory over Davis Love III & Tiger Woods while in tandem with fellow Irishman, Padraig Harrington) and of course who can forget his amazing show of sportsmanship to JJ Henry in conceding his putt for a half on the 18th green at The K Club even though victory for Europe had been secured. His unbeaten record in Ryder Cups, as player and Assistant Captain so far, will definitely be put to the test when Tom Watson returns to Scotland, his second golfing home, in 2014 at Gleneagles. His captaincy credentials were already copper-fastened of course, performing with much credit in the Seve (Vivendi) Trophy in 2009 & 2011. The main questions raised in the build-up to the European Team Captain announcement this week was would Paul be the big enough name needed to stand up to Watson in the captaincy stakes, and also maybe whether he would be able to command the respect of 12 of the best golfers in the world for a week. His grit and determination shown as a player in Ryder Cups would answer a resounding yes to the first question and the fantastic support shown for him by players such as World No.1 Rory McIlroy and the name called “Mr Ryder Cup” in certain quarters, Ian Poulter, among others definitely points to the other issue not being an issue at all. 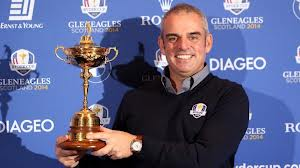 Paul McGinley is quite simply a Ryder Cup legend, having won 3 out of 3 as a player and 2 out of 2 as an Assistant Captain. He has served his Ryder Cup apprenticeship by captaining GB&I in the Vivendi Seve Trohpy twice so the next logical step and much deserved appointment was to make him Captain of Team Europe for the matches at Gleneagles, Scotland, in September 2014. I’m already looking forward to September, those of you who read my blog piece on Tom Watson’s captaincy will already know this! How about an all-Irish backroom team of McGinley, Harrington & Clarke facing up to Watson, Palmer & Nicklaus in 20 months’ time?!!? The proverbial golfing mouth waters!! Very well written, great piece about the best choice to represent Europe as Captain, well done Tom!